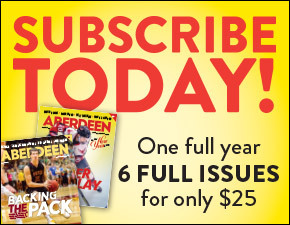 Aberdeen Magazine is a lifestyle and culture magazine for the Aberdeen community and region. Our goal is to champion our community, position it in a positive light, and promote those doing good things for our future. This magazine is distributed FREE to select households in Brown County. We anticipate Aberdeen Magazine will be collected, saved and shared. There is currently nothing like it available to the people of our area. The sophisticated look of Aberdeen Magazine and its varied content caters to all walks of life and strives to connect our editorial and advertising to a broad target market. The one thing they have in common is that they all live in Brown County. They all need to eat, they need housing, transportation, professional services and recreation. From time to time, we’ll pick our favorite businesses and services and feature them within our pages. Aberdeen Magazine is published by McQuillen Creative Group, Inc. Stop by our offices downtown, historic Aberdeen if you’d like more information. Aberdeen Magazine is a product of McQuillen Creative Group, Inc. of Aberdeen. MCG has been providing advertising and marketing services since 1995. Our specialties include publication design, graphic design, logo design, brochures, catalogs, website development and video production. Learn more about us at McQuillenCreative.com. MCG is owned by Troy McQuillen. 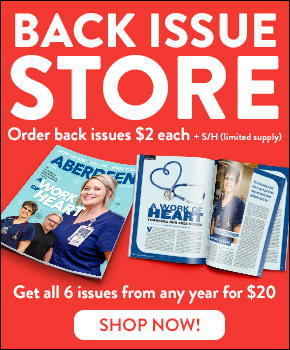 Aberdeen Magazine is a different type of publication in that it is not set out at business for free distribution. It is sold at several retail outlets as well as our office.